In the five weeks prior to a concert, Ribble Valley Choir meets on Sunday afternoons from 2.30pm and usually also on Thursday evenings from 7.30pm in Trinity Church. The aim of the Choir is to offer experience of singing in a large choir to folk with a wide range of singing ability in the Ribble Valley. We usually have 60 to 70 singers and perform a wide range of music from classical to modern. We regularly perform in the Christmas season and at other times on request. A Day Care service for older people with lunch and activities, run by experienced and well-trained staff, meeting at Trinity Church on Thursdays. Places are available privately or via referral from Lancashire County Council. Trinity Hall is used as a local centre for ABRSM Music Exams, both theory and practical, usually held in March, July and November annually. Contact Catherine Carr, the Honorary Local Representative (01200 422404) for further information. "Our Vision is that women, and their families, in the communities we serve are able to achieve their potential, develop their assets and skills and live safe, healthy and prosperous lives. 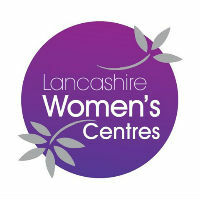 Our mission is to provide high quality, integrated health and social care services in Cumbria and Lancashire to women and their families." We run courses at Trinity from time to time. or email us via this link. Rainbows meets at Trinity on Tuesdays during termtime. Tai Chi classes are held in the hall on Wednesdays from 5.30pm to 7pm, run by Bill Wilkinson, a Chen Style Tai Chi Instructor, teaching Qi Gong and Chen style Tai Chi. A support group for local Brownies and Guides, including Fundraising events, speakers, and theatre excursions, summer outings and a Christmas meal.